This socket is used to maintain the harmonic damper pulley position while removing/installing the pulley bolt. 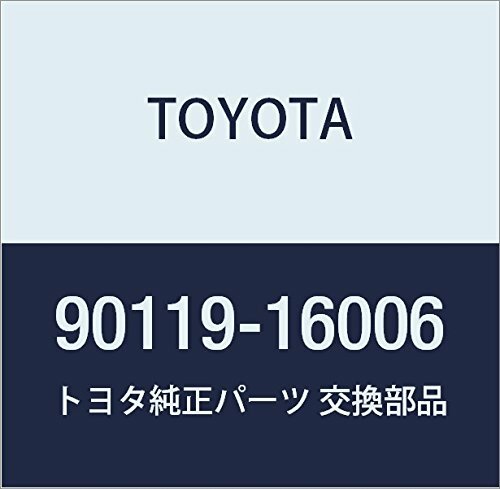 Audi, Chrysler, Dodge, Ford, GM, Honda, Mazda, Nissan, Rover,Toyota, Volvo etc. 1.Super flexibility for all sizes of sprockets ! 2.Do the job and not damage the camshaft sprocket ! 3.Nice long arm with non-slip handle is great for leverage and no harm to your hand ! 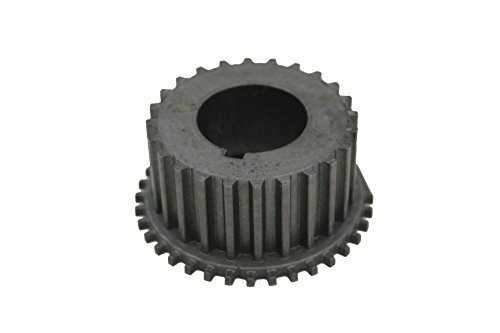 With this tool, no more jamming screw drivers through cogs to hold camshaft sprockets or or camshaft gears in place. This tool makes the job a breeze for you ! Buy It With Confidence! SATISFACTION GUARANTEE: If you're not 100% satisfied with this Cam Pulley Holder, simply return it for a full refund in 30 days, no questions asked money back guarantee with 15 months' warranty. XL Series! 10mm extra length provides MORE thread engagement! Still fits ALL LS Motors '97- today except Dry Sump. Perfect for getting proper thread engagement on those DAMAGED crank snout threads!!! Did you (or someone else?) 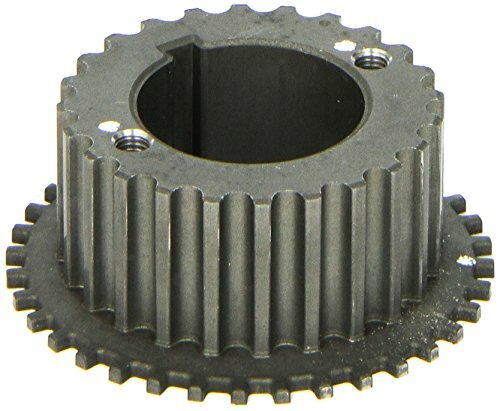 use a stock or other bolt to attempt to draw down the press fit crank pulley? Those who have tried this soon realize the first several threads will be pulled out of the crank... often rendering the crank useless. 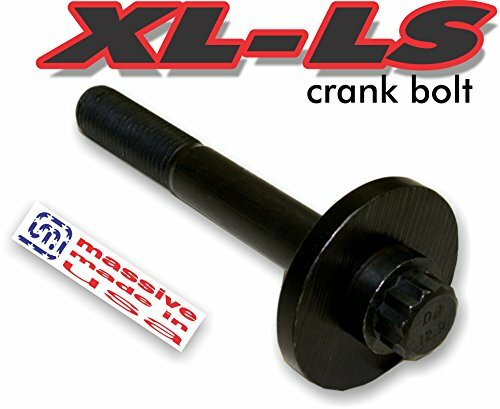 Massive has released this new XL-LS Extended length bolt that travels further into the threaded crank snout to engage more thread, giving your damaged crankshaft new life. The OEM bolt only engages the last 22mm of thread. Our new XL-LS bolt offers 32mm of engagement, a 50% increase. So even if the first few mm of your crank threads are damaged, merely clean out any material, and you will obtain proper or even increased thread bond! Others have used the superior torque transfer on their crank driven supercharged cars for enhanced clamp load. Our bolt is a full 10mm longer than the OE or ARP bolt. Because, who couldn't use an extra 10mm? Works with ALL LSX Engine (except LS7 or other OEM dry sump - see our othre listings for those applications). 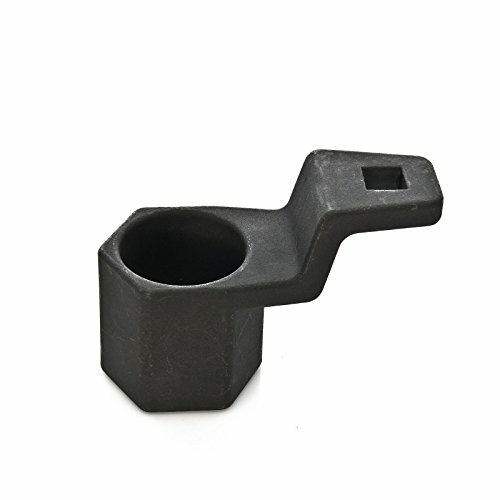 Grade 12.9 197,000 PSI tensile strength 12 point flanged bolt finished in black oxide is far stronger and places superior clamp only load to balancer through the use of a separate washer plate (a full 1/4" thick!) versus the 1 piece stocker. Fully reusable. High Strength - 197,000 PSI Tensile Strength! Dont risk your high performance build! XL Series is 10mm LONGER - engages more thread deeper in crank snout bringing damaged cranks back to life! 100% Made in the USA - Quality! 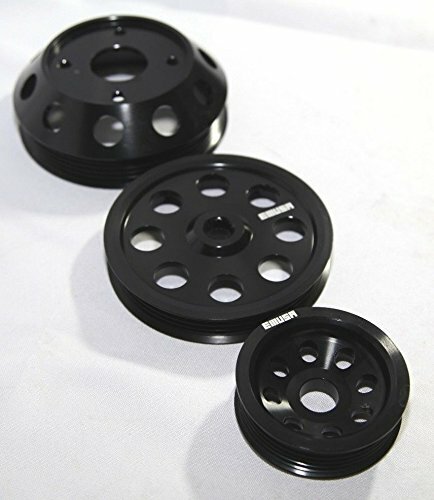 These machined billet aluminum pulley kits will add a great finishing touch to your engine bay! They use a modern style serpentine belt, which is more efficient and reduces drag common to v-belt setups. This kit is designed for use with small block Chevy engines using a long water pump from 283-400ci! NOTE: This kit will NOT work with stock power steering brackets. Please note that serpentine systems require the use of a REVERSE rotation water pump. Does not include idler/tensioner pulley. 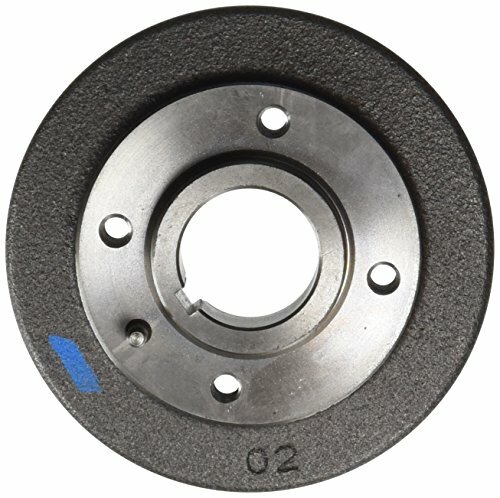 Machined finish aluminum one groove crank pulley. This is for big block Chevy engine with short water pump. 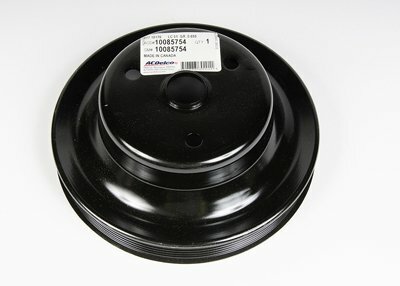 Diameter: 6.60", Bolt Circle: 2.30"
ACDelco GM Original Equipment Engine Crankshaft Pulleys attach to, and are driven by, the front of the engine crankshaft. 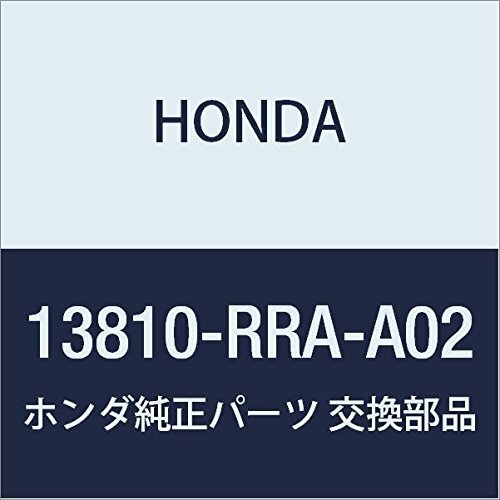 They connect to various engine accessory drive components by a belt drive system and help ensure that components, such as the water pump, alternator, and power steering pump, receive power from the rotating crankshaft to perform their vital functions. 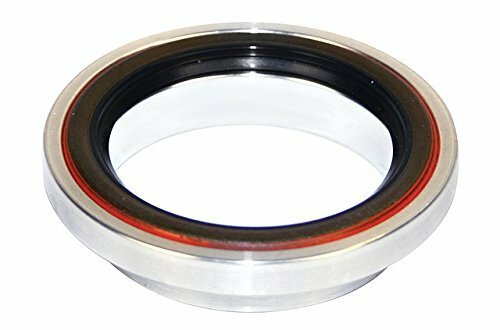 Crankshaft pulleys also work as harmonic dampers to help decrease crankshaft torsional vibration, and are GM-recommended replacements for your vehicle s original components. 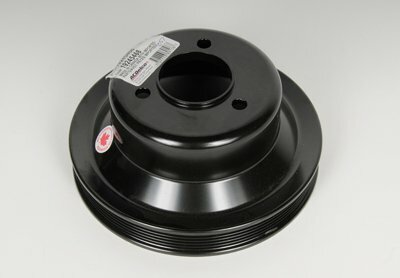 These original equipment engine crankshaft pulleys have been manufactured to fit your GM vehicle, providing the same performance, durability, and service life you expect from General Motors. 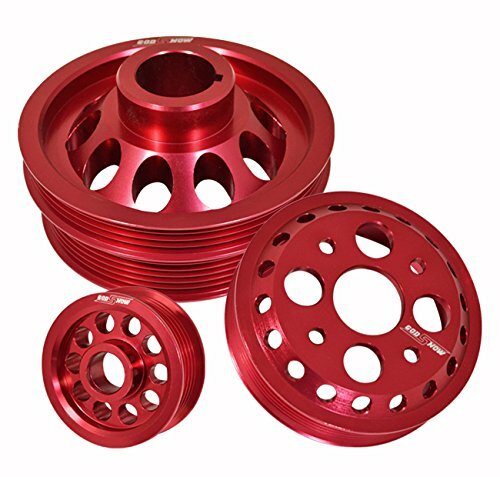 Billet Aluminum Water Pump Pulley for Long Water Pump (LWP) engines. Will fit Chevy 396-427-454 engines. Designed for use with stock power steering bracket and alternator bracket. Note: Long water pump Chevy engines are 7.29" from face of water pump pulley to block. 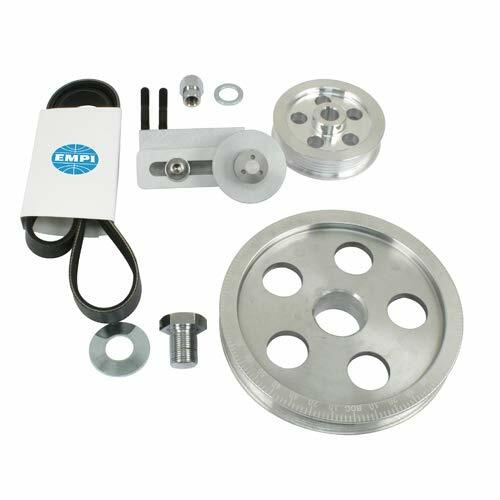 Pulley Kit Contents: Water Pump Pulley BBCL1WP Grooves: 1 Diameter: 6.2" Overall Length: 2.15"
The CravenSpeed stock size pulleys are stock diameter, utilizing the original belt layout. Since the diameter is unchanged, they maintain alternator output at stock levels so you need not worry about flat batteries or weak charging capabilities. Through extensive weight savings, power gains of up to 10% are available. Our Crank Pulleys come fully balanced and counter-weighted, and feature anodizing for superb wear resistance & strength. The rule of thumb is that each pound of weight taken off the engines rotating assembly is worth approximately 2.7HP. The concept is that the crank does not put power to the drivetrain but still requires the energy produced by the engine to rotate. When you reduce weight, you release power that was previously used only for spinning the supercharger and alternator. For an extra dose of power, our 2% overdrive pulley will trade the weight savings for more boost out of the supercharger. 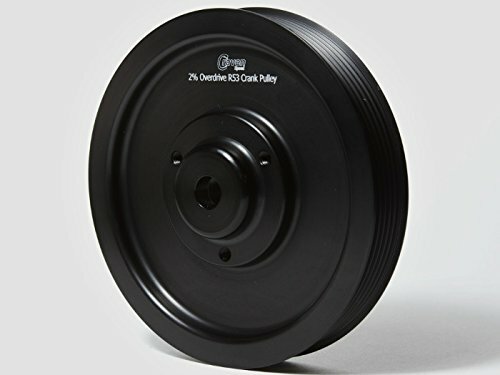 The pulleys on the R53's 1.6 and most new smaller engines have an elastomer incorporated into the pulley that looks similar to a harmonic damper. 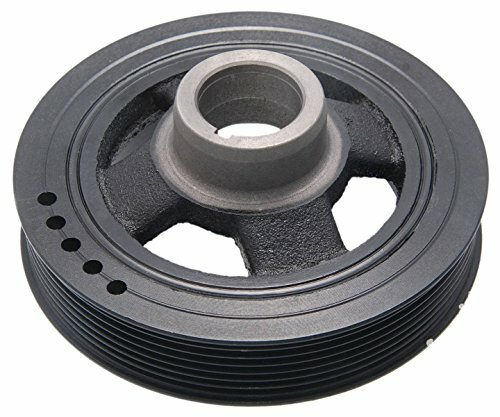 The elastomer in the OEM pulley serves as an isolator, which is there to suppress vibration/noise from the engine, the A/C compressor, P/S pump, and alternator. 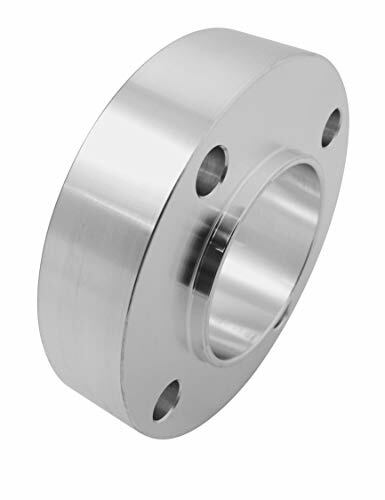 The purpose of a traditional harmonic damper is to protect against crank failure from torsional movement. This is not necessary in the MINI or most modern engines because of the many advances in engine design and materials. Factors such as stroke, displacement, inline, V configurations, power output, etc., do determine when and how these harmonics and torsional movements occur. Notice: This product has NOT been certified for legal use in CA and other states adopting CA emissions standards under Section 177 of the Federal Clean Air Act of 1970. Please check with laws in your area to make sure that your use of this product is compliant with current regulations in your jurisdiction. For removal and installation of Crankshaft pulley bolt. 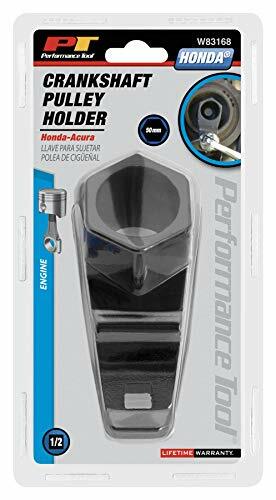 Fits most Honda and Acura engines. 50mm diameter. Hex shape fits hole in center of Crankshaft pulley. Prevents engine from turning when Held with Breaker bar. Not for impact use. The W83168 help prevents the harmonic damper pulley from rotating while you're removing and setting the final torque specification on the pulley bolt. 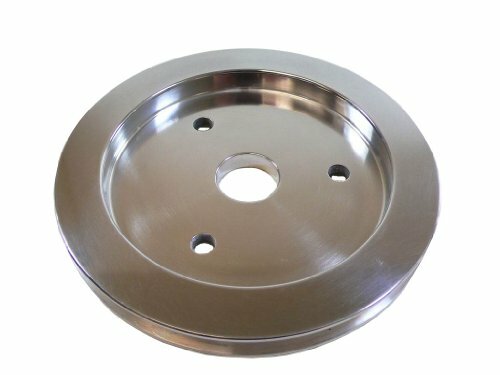 Pulley Material: Aluminum Pulley Finish: Natural Quantity: Sold individually. 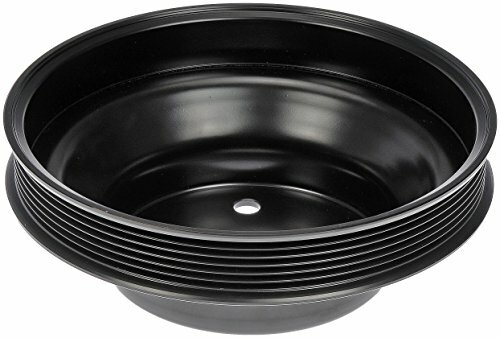 Dress up your engine bay with a Perrin Pulley Cover. Construction The PERRIN Performance pulley cover is constructed of 5052 Plate aluminum with precision drilled mounting holes and additional pre-marked indents for those who want to reuse your drive by cable support clips. Finish Powder coated for protection from the elements, the textured finish will look awesome for years to come. Available with either black, silver or red powder coating. More info please see the compatibility chart. 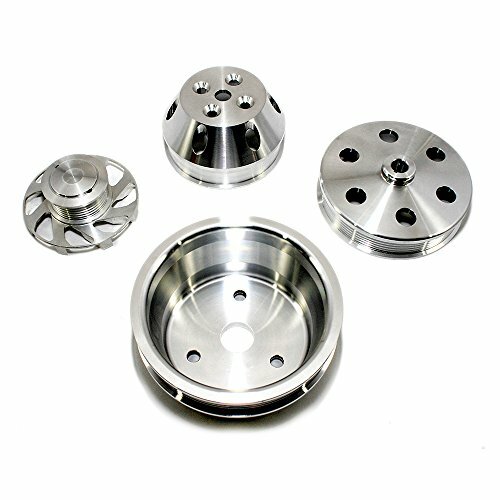 Machined finish aluminum three groove crank pulley. This is for the big block Chevy 396-454 engine with with long water pump. 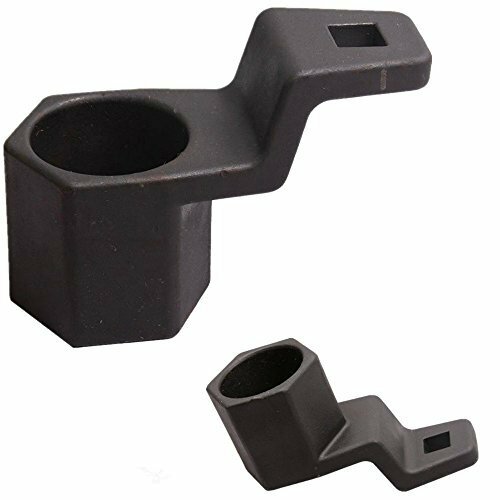 Diameter: 7-3/4" Depth: 3-1/4"
MOSTPLUS 50mm crankshaft pulley holder tool is designed to aid in the removal and installation of the crank bolt on most Honda and Acura engines. 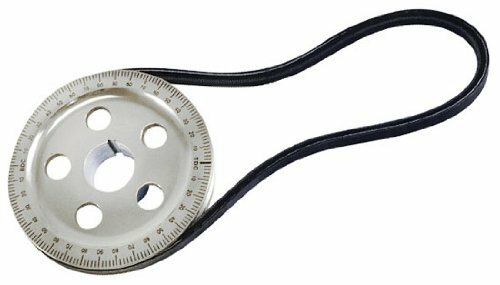 Used with a 1/2 inch breaker bar or ratchet, this crank pulley removal tool prevents the harmonic damper pulley from rotating while you're removing and setting the final torque specification on the pulley bolt. When servicing the engine and powertrain, it can be used for the removal and installation greatly improve the convenience. 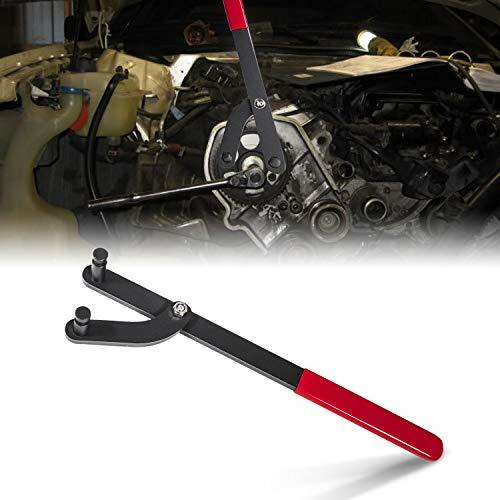 The tools design features a hexagonal shape with a hole in the center of the tool that allows the use of a socket and extension to help loosen or tighten the pulley bolt. Re-engineered by Dorman using the latest technology in rubber to metal bonding, Dorman's Crankshaft Pulley offers a long service life. Reliability is ensured by the rigorous temperature and push-out testing conducted. FORD CRANK PULLEY BOLT KIT Ford crank pulley bolt zinc (4) pc set Crank pulley bolt hex cap fits SB/BB ford 289 302 351w 351c 351m 400 429 460 (4) pc set.